Hello and Happy Tuesday! Hope you had a wonderful weekend and survived Monday without too much stress. Mondays are always super busy for me at work. We are heading into our busy season so I was just happy to get home at a reasonable hour. Thankfully I still needed to create my Design Team Card so I came in from work, fed the dogs, and then went straight into the craft room. Thank goodness for craft therapy when my life is crazy busy! 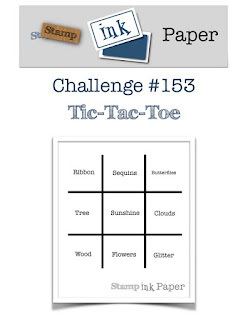 So of course it's time for another Stamp, Ink, Paper Challenge this week with a Tic-Tac-Toe. I decided to go right across the bottom row with wood, flowers and glitter for my card. 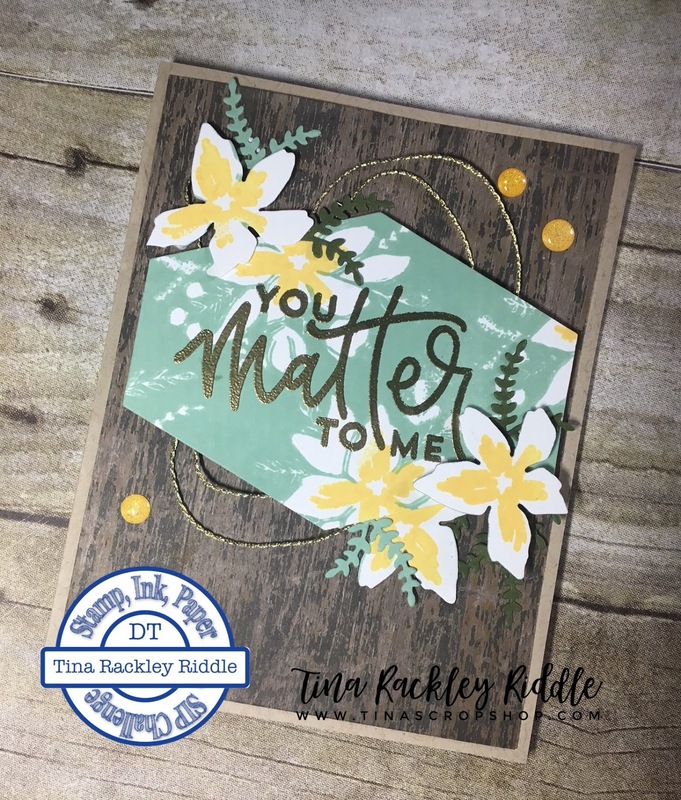 I finally used my Concord & 9th Blooms Fill In Bundle and I really love it!